First Kiss Friday with Tess Thompson & a Giveaway! Hello from the San Francisco Bay Area. Today on First Kiss Friday it’s my pleasure to welcome author Tess Thompson who will be sharing an excerpt from her novel Jaded. 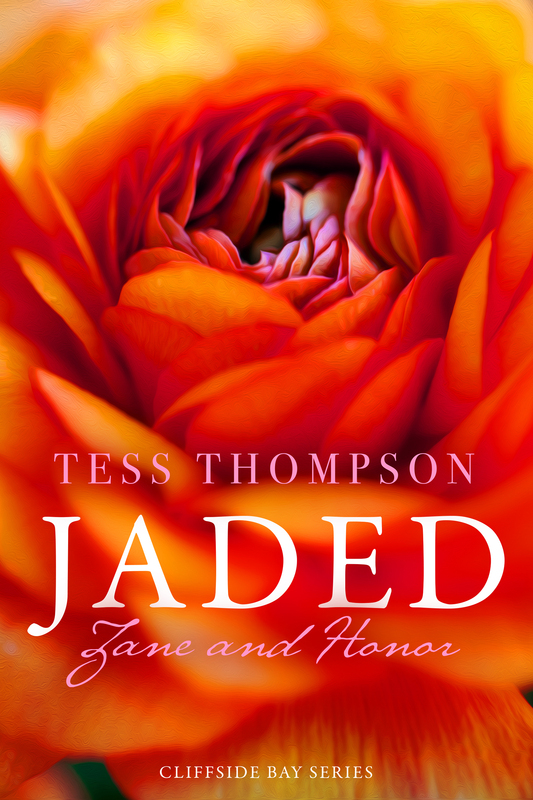 Plus, Tess is offering an eBook giveaway of Jaded to two lucky people who leave her a comment below! Happy reading and enjoy, my lovelies! “Really?” She looked down, pretending to examine her fingernails as warmth flushed her cheeks. “You’re so pretty it hurts,” he said. She couldn’t move as he drew closer, inhaling his scent. What should she do with her hands now that he no longer held them? They were lumps in her lap. Should she put her hands in his hair? The last time they’d kissed, she’d been tipsy and caught up in the moment. They’d attacked each other, ripping clothes off as they made their way to his bedroom. Tonight was different. They were too cautious, unwilling to startle the other with the wrong move. When he leaned down to kiss her, all thoughts of what to do about her hands vanished. He parted her mouth and kissed her gently, like an explorer with a rare and fragile find. She kissed him back and spread her fingers into the softness of his hair. “I pay a lot for it to look this way,” she said. She almost laughed, caught up in the joy of it all, but then she remembered. The point of asking him back to her home was to tell him the truth. 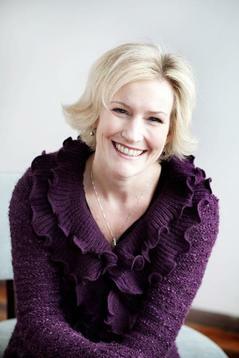 Tess Thompson writes small-town romances and historical fiction. Her female protagonists face challenges with courage and dignity. Her heroes are loyal, smart and funny, even if a bit misguided at times. While her stories are character driven, she weaves suspenseful plots that keep readers turning pages long into the night. Her deepest wish is to entertain with her stories, but also to inspire hope in this sometimes difficult journey called life. Her stories celebrate friendships, community, motherhood, family, as well as a belief that love can change the world. If you like happy endings that leave you with the glow of possibility, her books are for you. Like her characters in the River Valley Collection, Tess Thompson hails from a small town in southern Oregon, and will always feel like a small town girl, despite the fact she’s lived in Seattle for over twenty-five years. She loves music and dancing, books and bubble baths, cooking and wine, movies and snuggling. She cries at sappy commercials and thinks kissing in the rain should be done whenever possible. Although she tries to act like a lady, there may or may not have been a few times in the last several years when she’s gotten slightly carried away watching the Seattle Seahawks play, but that could also just be a nasty rumor. Her historical fiction novel, “Duet for Three Hands” won the first runner-up in the 2016 RONE awards. “Miller’s Secret”, her second historical, was released in 2017, as were the fourth and fifth River Valley Series books: Riversnow and Riverstorm. The sixth River Valley book will (hopefully) release in the early part of 2019. “Traded: Brody and Kara”, the first in her new contemporary, small town romance series, Cliffside Bay, released on February 15th, 2018. The second in the series, “Deleted: Jackson and Maggie” released May 7th. “Jaded: Zane and Honor” will be released on July 9, 2018. The subsequent Cliffside Bay books will release every several months throughout 2018. She currently lives in a suburb of Seattle, Washington with her recent groom, the hero of her own love story, and their Brady Bunch clan of two sons, two daughters and five cats, all of whom keep her busy, often confused, but always amazed. Yes, that’s four kids, three of whom are teenagers, and five cats. Pray for her. I am very intrigued! Why is she damaged goods? And, I love her name… Honor. Yes it does. Good luck on the giveaway, Ginny! Thanks to everyone who stopped by and left a comment for Tess. The random comments chosen as the winners of the two eBooks are Evangeline and Alison! Congratulations, ladies. Please email me at sherry@sherryewing.com so I can get your permission to forward your email to Tess or her PA so we can get you your ebook.